Residential care homes often find a major renovation is the ideal time to upgrade or replace an outdated access system, whether based on mechanical keys or an obsolete wired technology. Like so many organisations operating in France’s closely regulated EHPAD sector, the Résidence Sainte Anne chose a SMARTair™ wireless access control system. Résidence Sainte Anne’s Lyon site spreads over multiple buildings. Some are more than a century old; others date from the 1980s and 1990s. During a full overhaul of the premises in 2017, it was decided to seek a replacement for an old, card-based wired system. Facility managers chose a combination of SMARTair™ Wireless Online and Update On Card management to provide an optimal, flexible solution for delivering resident care. 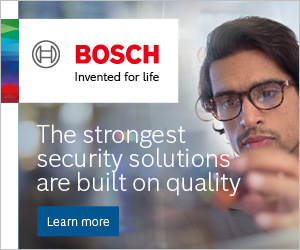 Important doors including staff / technical areas and sensitive rooms such as the infirmary, are protected with 30 SMARTair™ wireless escutcheons or wall readers. A SMARTair™ device at the main entrance is equipped with both RFID reader and keypad, to add an extra layer of security at such a critical access point. Using the intuitive SMARTair™ software, staff schedule it to stay open between 6am and 11pm, with valid credential and/or PIN needed at other times. For easy monitoring and control in real time, critical doors on the ground and lower-ground floors are managed by the fast Pro Wireless Online system. 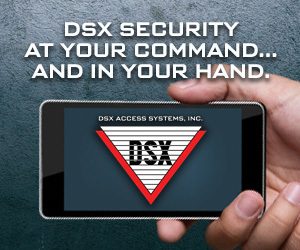 The SMARTair™ admin software makes system operation straightforward for facilities staff, including for remote door opening from a computer, tablet or smartphone. Other doors at the site run via SMARTair™ Update On Card management. And because SMARTair™ devices are wireless and battery-operated, installation was fast and affordable. System operation is very cost-efficient, thanks to devices’ minimal power consumption and long maintenance schedules. About Résidence Sainte Anne: Résidence Sainte Anne is a private, independent EHPAD, providing approved residential care to 67 older people in Lyon, France. For more background, visit www.residencesainteanne.com. 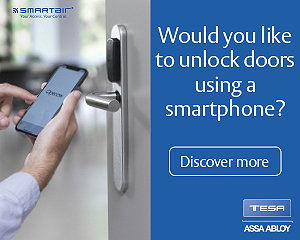 For more information on how SMARTair™ access control is helping to protect the care homes of the future, visit www.tesa.es/smartair-residentialcare.